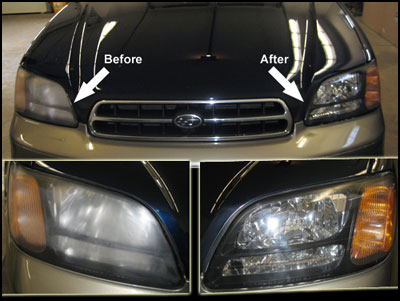 First Choice Reconditioning now offers headlight restoration on any vehicle $100, with just a 45 minute turnaround time! New technology has allowed us to offer restoration of clouded and/or hazed headlamps with a written lifetime guarantee! 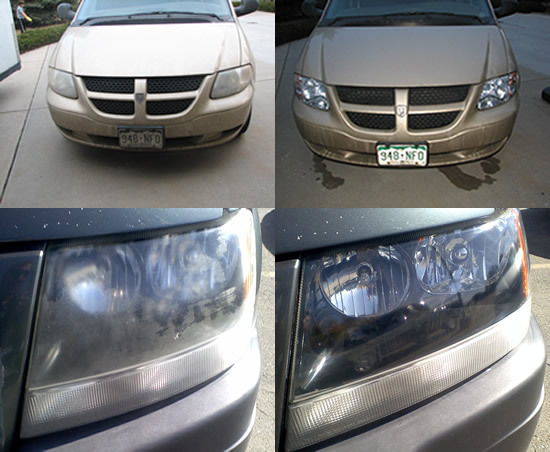 This one-time process produces “like new” headlamps at a small fraction of replacement cost, and unlike simple polishing will last forever! A proprietary clear coating is applied to the prepared light lens. This catalyzed material offers unmatched UV protection and actually seperates the headlamps from UV rays and harsh elements in the environment. This level of protection is what makes the lifetime guarantee possible. Over 18 months of in-house testing in real world settings has made us believers! Our confidence in this technology is huge…so much so that we guarantee your satisfaction with the results and double the guarantee of longevity, including all labor costs in the event of product failure! !